Today I listened to The Quilt in full for the first time, so here are some thoughts and some tracks. 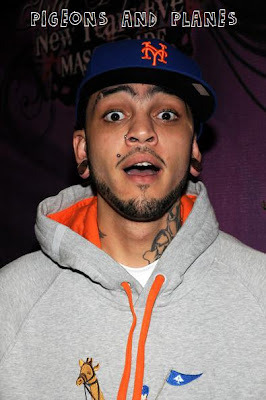 Gym Class Heroes have a tendency to take things in a really poppy direction musically. Seems like this gets more corny with each album, but I don’t think I’m gonna write GCH off yet because there’s still some things I like about them. I think Travis is real. I think he is honest, speaks on what he knows, and despite how poppy the music gets, I think he likes it. I can picture him playing air guitar to the overly dramatic guitar solo on “Live A Little” and getting emotional listening to his own lyrics about his dad on “Like Father Like Son”. I might send a few of the songs on this album straight to the recycle bin, but there are definitely some keepers.